What Is Red Rag Garage? 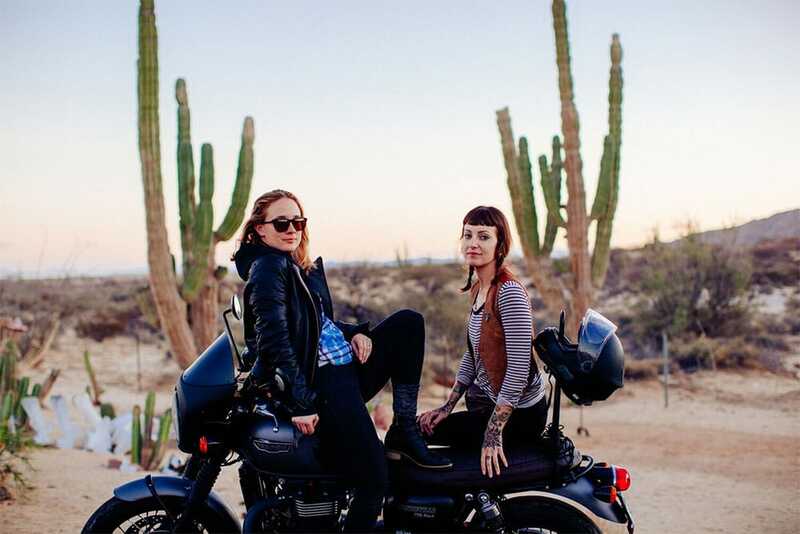 Red Rag Garage is written for women who ride, by women who ride — but as long as you’re non-judgmental and into motorcycles, you’ll find a home here. RRG was started as a place to gather all the photos, stories, and lessons we’ve collected during our various two-wheeled adventures — but also to inspire others to create their own experiences. We love motorcycles. Frankly, we’re obsessed with them. That doesn’t mean we love some of the more outdated notions of biker culture. We have zero tolerance for sexism, racism, and homophobia. Your gender, race, creed, or sexual identity have no bearing on the unadulterated joy a smooth road through stunning scenery can bring. Our idea of a perfect weekend is exploring new roads, seeing new sights, and breathing fresh air with some like-minded humans, and that’s what this blog is all about. Red Rag Garage is a mindset. Get into it! Sanna likes motorcycles, kittens, and punk rock. When she’s not at her day job as the digital editor of San Diego Magazine, she’s probably riding twisties in the mountains or camping in the desert with her moto squad. She has a 2015 Dyna and a 1976 Ironhead chopper, but she secretly dreams of owning a 70s muscle car. Katie is somewhat obsessed with dogs and motorcycles — she has 3 of each. She rides a 2017 Triumph T-120 most days, and has a 1972 Triumph T-120 and a 1975 Honda CB360 to keep her busy on the weekends. She also has a deep love for vintage vans, mostly her 1967 Dodge A100.